The market went to sleep for the holidays and it’s just starting to wake up. Let’s talk about that along with pulling stats like a boss. Then I have a huge market update and review for those interested. No sales to support higher values: In a normal January the market is in a weird spot. It’s coming out of hibernation from the holidays, and even though buyers eventually start offering higher prices, the most recent sales might not support higher contracts. In other words, sales from November and December might actually be much lower than what buyers are willing to pay in later January and February because the market has begun to awaken out of a lull. The reality is we might not see any upward value movement in sales stats until March, but the upward trend will begin to happen in January and February before we see it in the stats. Data lags the trend. I remind myself of this every year. Getting practical: In coming time as the market presumably heats up I recommend looking for a pattern of pending sales (probably higher), watching for properties spending less time on the market, and study what prices normally do this time of year in your area. In many locations prices tend to pick up where they left off in the late summer before they faded during the fall. Game-changing stats: Paying attention to numbers has literally changed my career, so I wanted to give some tips for how to begin pulling stats for a city, county, neighborhood… Here’s a chart you can use to track price changes and a few other key elements (DOWNLOAD here). I highly recommend carving out a few minutes each month to track some of these basics. Then of course find relevant ways to share the numbers with your clients and contacts. 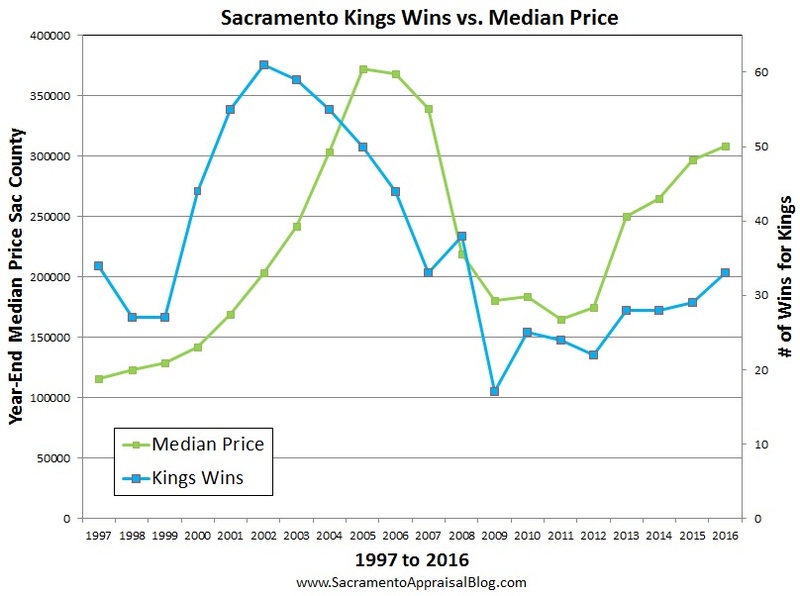 Prices have been softening in Sacramento, but it hasn’t been painfully dull like some fall seasons. Overall prices in the region sloughed last month (not a surprise), it took six days longer to sell, and the year closed out with price metrics being about 8-10% higher than December 2016. The number of listings really took a nosedive last month, but that’s what happens since people don’t list in November and December unless they really have to sell. Listings should increase over the next couple months as the market heats up for the spring. I know hungry buyers feel like inventory won’t be coming, but it’ll happen. Quick insight: Housing inventory is sparse, but one good thing is inventory seems like it went a little more sideways last year instead of declining sharply. On a positive note, the market ended with the lowest number of foreclosures and short sales in the past decade. This isn’t a shocker, but it’s still a sign of healing after the “bubble” burst more than ten years ago. Prices in 2017 increased about the same as they did the past couple years. Lastly, sales volume has been steady for a few years, and that shows the market has found a rhythm. DOWNLOAD 75 graphs HERE: Please download all graphs in this post and more here as a zip file (includes a stat sheet too). See my sharing policy for 5 ways to share (please don’t copy verbatim). The median price is currently $350,000. It’s about the same as last month & down 0.5% from summer. The median price is 11.1% higher than the same time last year. Sales volume in December was 5.6% lower this year than 2016. There were 1392 single family detached sales last month. It took an average of 36 days to sell a home last month (one year ago it was taking 3 days longer). The median days on market last month was 21 days. It took 3 more days to sell in Dec. compared to November (median days). FHA sales were 20.5% of all sales last month in the county. Only 0.7% of sales last month were bank-owned & 0.2% were short sales. The avg price per sq ft was about $221, which declined last month (9.6% higher than last year). The avg sales price softened about 1.5% last month and is $379,962. This is 10.5% higher than last year. The median price is $385,000. It softened nearly 1% last month. Sales volume in December was down 4.7% this year. There were 2202 single family detached sales last month. It took an average of 42 days to sell a home last month (one year ago it was taking 2 days longer). The median days on market last month was 24 days, which means properties are selling really quickly. The median days on market increased by 5 days last month, which shows a slowing in the market. FHA sales were 17.5% of all sales last month. Only 1.6% of sales last month were bank-owned & 0.9% were short sales. The avg price per sq ft was about $225, which decreased 2% last month (8.4% higher than last year). The avg sales price decreased 2.5% last month and is 9.1% higher than last year. The median price is $450,000 and decreased slightly last month. The median price is 6.1% higher than the same time last year. Sales volume in December was 3.6% lower than 2016. There were 450 single family detached sales. It took an average of 48 days to sell a home last month (one year ago it was taking 1 less day to sell). The median days on market last month was 28 days, which means properties are selling really quickly. The median days on market increased 9 days last month (don’t read too much into that). There were only 4 bank-owned sales last month and only 7 short sales. The avg price per sq ft was $228, which softened about 3% last month (5.7% higher than last year). The avg sales price is currently $510,174. This is 8% higher than last year.